The drive on SH12 winds through magnificent stands of tall kauri, rimu and northern rata, and offers extensive views in a few places. Good walking tracks give easy access to the most spectacular attractions of the forest: the giant trees named Tane Mahuta, Te Matua Ngahere, Four Sisters, and the Yakas Tree, as well as the historic Waipoua Forest Lookout Tower. Waipoua, and the adjoining forests of Mataraua and Waima, make up the largest remaining tract of native forest in Northland. Most of Northland’s ancient forest cover has been lost to saw and fire, plundered for the precious timber of the kauri tree or cleared for farmland. However the forests are now under the protection of the Department of Conservation. 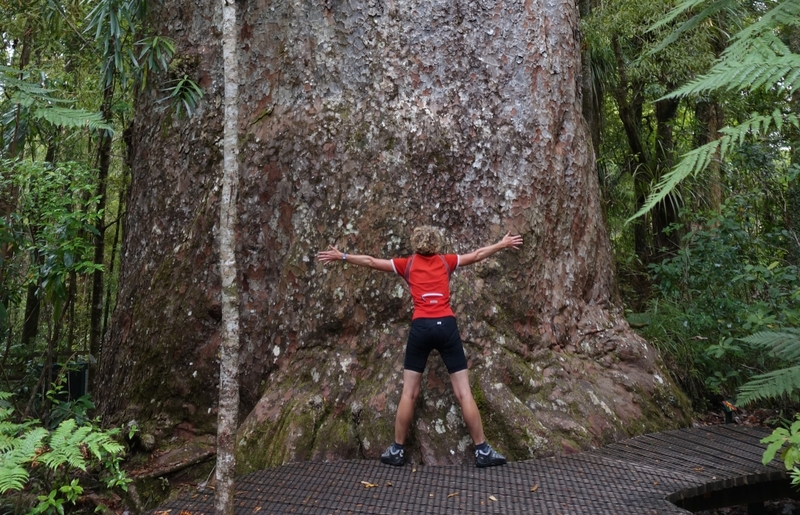 Waipoua is home to the kauri, one of the world’s mightiest trees. The largest kauri reach more than 50 metres tall, have trunk girths up to 16 metres, and sprang from seed as long as 2,000 years ago. Watch the Footprints Waipoua video to learn about the significance of kauri trees in Waipoua. The endangered North Island kokako and the North Island brown kiwi both live here. The Waipoua valley has a long history of Maori occupation, which continues to the present day. The tangata whenua (people of the land) are Te Roroa. Local Maori tradition, the records of early European explorers and archaeological evidence all show that the area in the past supported a large and thriving community, based on fishing, shellfish gathering, forest produce and a very sophisticated agriculture. Waipoua Forest can be found on SH12 45 km north of Dargaville on Northland's west coast between Dargaville and Omapere. No domestic pets are allowed. There is no general store, petrol station or supermarket in Waipoua Forest. Nearest petrol station is 28 km south at Kaihu, and 20 km north at Waimamaku. Nearest toilets are located at the Tane Mahuta Carpark or the Waipoua Visitor Centre. No trip to Northland would be complete without a visit to Waipoua Forest—DOC’s Beverley Bacon visits the forest giants of the north.